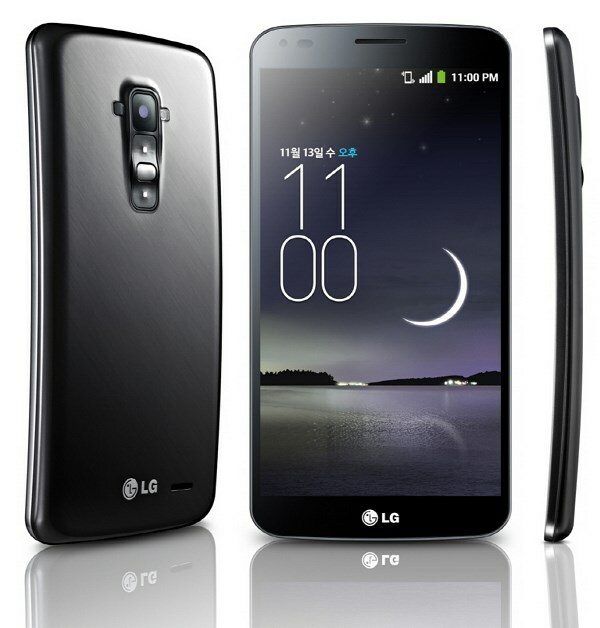 After several rumors, LG has officially unveils it's first curved smartphone that name called LG G Flex. The phone comes with 6-inch HD Curved Display with resolution of 1280x720 pixels. The device powered by 2.2 GHz Quad-Core Snapdragon 800 processor with 2 GB RAM and runs on a Android 4.2.2 jelly bean operating system. The LG Flex will be available in Korea starting in November through all three major local carriers. The device comes with some innovative features such as QTheater for users to quick access photos, videos and YouTube right from the lock screen, Dual Window feature for divide your screen into two separate windows for more effective multitasking, Swing Lockscreen to alter the image on the lockscreen, Face Detection Indicator displays the LED on the Rear Key in green to confirm status of face detection and focus, Camera Timer flashes the Rear Key LED to indicate that the countdown has begun and Urgent Call Alert flashes the LED on the Rear Key in red when several consecutive calls from the same person go unanswered.